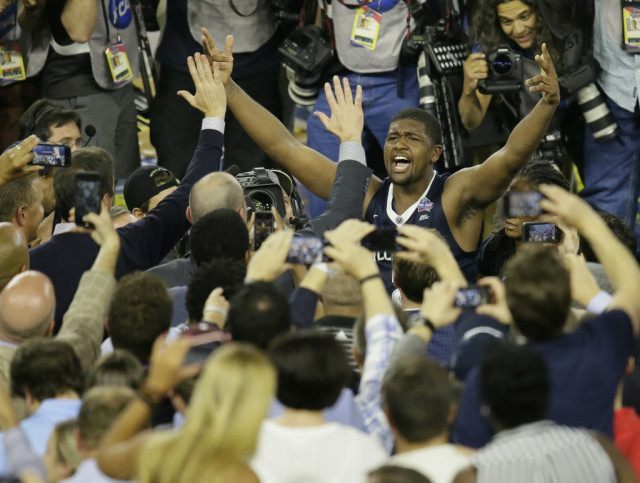 Two years after ESPN declared the Big East dead with a one-hour and 44-minute documentary, Kris Jenkins took just a second to resurrect it with a national title. Yahoo Sports declared College Sports Inc. (largely ESPN) would give teams like UNC an extra couple of baskets in order to leave the Big East as a relic if only the rules allowed it. The Tar Heels could have used those baskets Monday night on TBS. At the beginning of the tournament Charles Barkley, once again apparently watching some of his first college basketball of the season, talked about how desperate the NCAA was to not make Villanova a No. 1 seed since they were not any good. Barkley predicted big things for the Pac-12 — which went 4-7, while the Big East finished 9-4 to finish way ahead of every other conference not named the ACC, which crowned UNC its regular season and tournament champion. 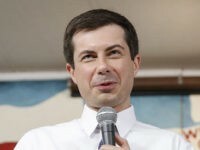 And yet, the UNC team of future NBA stars fell just short of keeping the establishment in control, losing 77-74 in a classic championship to the only team with four players in the top 200 at Value Add Basketball but none with a better than 50-50 chance at the NBA. One of the four Nova stars, Daniel Ochefu, played the working stiff with four seconds to go by taking the mop from the ball boy to go over and over a spot on the court. When asked why, Ochefu said, “The kid was having trouble getting it dry and I knew that was the spot on the court where I would need to set a pick for Ryan Arcidiacono. So while Jenkins’ shot will live forever, the winning play included; 1) the team recovers from Marcus Paige’s incredible game-tying shot to set up, 2) Ochefu mops the floor, 3) Ochefu stands in the spot while Arcidiacono races down the court to draw two defenders, 4) Jenkins sprints down the court after inbounding the ball to get his hands set for a pass from Ariciacono, 5) Arcidiacono not only delivers the pass but continues moving to avoid charging and get a brush pick to prevent a UNC blocked shot, and 6) Jenkins hits the game-winner. Here on the University of Delaware campus, less than an hour from Villanova, the home team radio broadcast seemed to be thrilled at halftime that Nova was just in the game. Certainly the ante will be upped again to stack the deck against the non-Power football conferences. The push is on to enable teams to pay players, which certainly has merits but will be used by programs such as the Texas Longhorns to outbid any smaller program. With ESPN’s Neil Everett kicking off Sports Center by saying it may have been the greatest title game ever, maybe some minds will be won over outside College Sports Inc. that the game is made more fun by underdogs and making the powers win it on the court. They usually will, but it is awfully fun when they don’t.